Does your SMB have a supply room or warehouse packed full of inventory? How do you keep it organized? Logically, you need a well-planned system for managing and tracking each item, but before you open an Excel spreadsheet, you may want to think twice. Accuracy is key when it comes to inventory or asset tracking. Unfortunately, manually entering inventory or asset data can lead to errors. Studies show that a proficient data entry operator will make one error for every 300 characters. 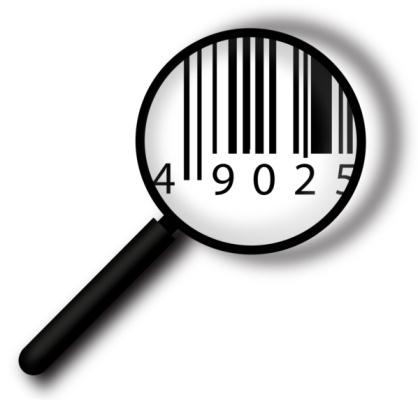 If you’re assigning a 12-digit UPC code to your assets or inventory that means you’ll have an error in 1 out of every 25 manually entered codes – this could be a big problem for businesses that stock hundreds or thousands of products and track large amounts of assets. Plus, when you combine data entry errors and counting errors that are common with Excel-based systems, your accuracy takes another hit. Excel-based tracking systems require employees to manually count inventory and asset items and record the data into the spreadsheet. Often, the process also involves using a printed count sheet, since assets can be located anywhere (from an employee using a computer, to borrowed equipment placed in various office locations). After data is recorded on a count sheet, it must then be transcribed into the spreadsheet. This duplicated effort wastes valuable time. Imagine what your employees could accomplish with an extra hour or two in a workweek. The pressure of manual tracking through Excel can cause stress on not only the employee, but also the business as a whole. This added stress is likely to affect other areas of work as well. While most SMBs are operating on a tight budget, it’s worth the investment to upgrade to an automated asset tracking system. An affordable solution can give you an ROI in a matter of months – and you’ll enjoy the benefits for years. As a business owner, you’ll sleep much easier at night knowing where your assets are, who has them and what needs to be replaced or upgraded. Asset tracking solutions are designed to help your organization manage valuable assets efficiently and affordably. Asset solutions allow you to instantly locate any asset, eliminating wasted time spent searching for missing items and unnecessary expenditures to replace lost assets. About Wasp Barcode Technologies: Founded in 1994, Wasp Barcode Technologies manufactures barcode software and solutions. Solutions include barcode scanners, barcode printers, inventory software, asset tracking, time and attendance systems, Point of Sale (POS) Systems and a range of barcode labels and barcode accessories.